Welcome To This Charming And Picturesque Ranch Style Home Located On Over 5 Acres Just Minutes Outside Of Parker, CO. This Home Blends Comfort And Beauty All In One And Has Been Fully Remodeled Ready For You To Move Right In. As You Enter, You Will Be Awestruck By The Gorgeous Kitchen With Victoria White Cabinetry and Blue Dunes Slab Granite Countertops. And Then You Will Be Drawn To The Even More Spectacular View Of The Rear Landscape And 2,400 SF Charming Cedar Barn That Is A Picture Right Out Of A Magazine – Complete With A Back Drop Of A Beautiful Sunset For You To Enjoy Every Morning. Enjoy The Mountain Views Every Day With Sunsets As A Backdrop From A Cozy Couch In Your Great Room Or The Front Patio. There Is Plenty Of Room To Enjoy This Lovely Setting All Year Long While On The Maintenance Free Deck With Built-In Bench Or Huge Concrete Patio For Even More Entertainment Space. This Property Has A Fenced Pasture And Offers A Ideal Balance Of Residential, Horse Property And Car/Boat/ATV Storage. The Fabulous Kitchen Offers A Barn Style Door Pass Through To The Laundry Which Also Has A Second Pass Through To The Master Closet Which Is A Must-Have Feature That You Won’t Want To Live Without. Stunning Master Suite With French Doors, 5 Piece Bath & Walk-in Closet & Private Covered Deck Ready For A Hot Tub – And With Mountain Views! A Total of 5 Bedrooms Plus 3 Full Baths Great For The Present And Offers Room To Grow In The Future. Call Today For A Private Showing. Mountain Views, Sunsets, Sunrises – This Home Has It All! 2 Car Attached Garage With 28′ Length That Will Fit Full Size, Extra Cab With Long Bed Truck … Or Boat! Master Suite With French Doors, 5 Piece Bath, Beautiful Blue Dunes Slab Granite Countertops, Victoria White Cabinetry With Crown Molding, Dual Vanity, Soaking Tub With Tile Surround, Separate Shower/Commode Room, Walk-In Closet with Built-In Shelving/Rods & Private Covered Deck Ready For Hot Tub (With Electrical Pre-Wire & Concrete Support Slab Under Deck) AND Mountain Views! Welcome Home…Here’s What You Will Love Most About This Home! 1. Peaceful and quiet living while watching nature and wildlife all around! 2. Spectacular sunsets and sunrises every day of the year! 3. Quick Access to Parker, Southlands And DIA! 4. This house is practically brand new! 5. The barn is the perfect place to store your 4-wheeler, car collection or spend time creating that special project you’ve always dreamed. It’s also a perfect place for your special hooved friends. Welcome to this spectacular home with backyard landscape that is like a mountain view every day! $40,000+ VALUE ALREADY INCLUDED! This is truly a stunning home that is nearly brand new with professional landscaping, plantation shutters and appliances already included. Gorgeous features throughout such as subway tile, slab granite, dark java varied height and elevation cabinetry, GAS COOKTOP, huge island with eating bar, stainless appliances, wrought iron fixtures and more! Low maintenance hardwood style resilient tile flooring throughout. Full unfinished basement with room to grow or create a dream recreation space. Enjoy the covered back porch and private lot. This property is eligible for 100% USDA financing. Call today for a private showing! Or Could Be Main Floor Study! Welcome To This Beautiful Ranch Style Home Located In Spring Valley Ranch That Sits Atop The Neighborhood On A Cul-De-Sac With Views Of The Valley. The Home Built By Beazer Homes Is A Sprawling 3,000+ Sf Ranch With 3 Bedroom, 3 Full Baths A Delightful Master Suite With Retreat And 3 Sided Fireplace. Beautiful Hickory Flooring & Custom Finishes As Well As Brand New Carpet & Paint! The Kitchen Is Huge And Has A Double Oven, Huge Island, Tons Of Beautiful Maple Cabinetry, Stainless Appliances, Desk Area, Breakfast Nook And All Opens To The Covered Deck And Views Of The Valley. The Family Room Is Spacious With A Fireplace And Opens To The Formal Dining And Main Floor Study. The Formal Dining Offers Tray Ceilings, Chair Rail & Crown Moulding Accents And A 2 Sided Butler’s Pantry With Cabinets And Sink. Relax With Family And Friends On The Custom Concrete Patio With Built-In Gas Firepit! Come See This Home Today! New Roof And Exterior Paint 2015 Plus Brand New Carpet & Paint Throughout! Welcome To This Stunning, Brand New Home Located On One Of The Few Remaining Estate Lots On Nearly 1 Full Acre! You Will Enjoy Upgrades Such As Hardwood Flooring In Kitchen, Dining, Family & Entry, Slab Granite Countertops In Kitchen, Tiled Wet Surfaces And High Efficiency Hot Water Heater & Furnace All Included! The Kitchen Boasts Walk-In Pantry, Stainless Appliances, Slab Granite Countertops, A Large Island, Double Oven, Gas Cooktop With Vent Hood, Trendy Sharp Microwave Drawer And Side-By-Side Refrigerator Included! The Great Room Opens To A Smart Pocket Office With Work Surface. Formal Dining With Butler’s Pantry And Walk-In Pantry Opens To Kitchen And Great Room. Upstairs With 3 Bedrooms Including Jack N Jill Style Bath, 2 Large Secondary Bedrooms, Laundry And Master Suite With Stunning 5 Piece Bath And 2 Walk-In Closets. The Full Basement Offers Room To Grow And Has 9′ Ceilings. Central A/C And Kitchen Refrigerator Already Included. Ready To Move In! Welcome To This Private & Peaceful Country Home That Is Just The Escape You Are Looking For! On Over 2 Acres In Beautiful Sun Country Meadows With New Hardwood Style Flooring Throughout Main Floor And Resilient Flooring In Basement! The Kitchen Boasts Slab Granite Countertops, Custom Tile Backsplash And Accents, Oak Cabinets With Wrought Iron Handles. As You Enter, You Will Notice The Beautiful 6 Panel White Doors And Matching Trim, Tiled Entry And Laminate Hardwood Flooring. The Kitchen Opens To The Family Room And Deck To Enjoy The Expansive Views And Peaceful Setting Of This Beautiful Property. The Main Floor Offers 3 Bedrooms And 2 Full Baths (Or 2 Bedrooms And A Study). The Finished Basement Offers A Bedroom And Full Bath (Could Be Dual Master) Plus Rec Room And Walkout Elevation To A Covered Patio. This Home Is Clean And Move-In Ready! Call Today For A Private Showing. HOA: $85/year — Mill Levy Only 81 Mills! Why Not Have It All? Welcome To This Unique And Spectacular Horse Property In Franktown, CO. This 5+ Acre Property Has A Private Sledding Hill, 4 Indoor Fireplaces, Two Outdoor Firepits, Barn With Corral, Fenced Horse Pasture And A Perfect Combination Of Pines Trees And Open Space Including A Beautiful Green Grass Area Fitting For Graduation Or Wedding Parties! Enjoy Every Season Colorado Has To Offer With Quick Access To Amenities Such As Large Scale Shopping And Grocery Just 15 Minutes Away. The Front Landscape Offers A Serene And Peaceful Setting With A Rock Waterfall And Bridged Pathway To An Outdoor Sitting Area To Enjoy The Spring Thaw And Birds Singing. This Property Is Suited For Horses With A Barn With Tack, Hay Storage, Attic, Two Stalls, Corral And Hot-Wired Fenced Pasture. The Interior Of The Home Is Stunning With Vaulted Ceilings, Custom Rock Pillar Accents, A Epicurean Style Kitchen With Brand New Slab Granite Countertops, Custom Grade Stainless Appliances, Double Oven And Much More! The Floor Plan Offers A Main Floor Master Suite With Sitting Area And Fireplace, Spacious 5 Piece Bath With Walk-In Doorless Shower. Upstairs Are 2 Bedrooms Each With Walk-In Closet, A Full Bath And A Loft Area That Overlooks The Lower Level. The Finished Basement Boasts A Second Family Room (With Electric Fireplace Included! ), Two Bedrooms Including One Set Up To Be Mother-In-Law Suite, 3/4 Bath, Fitness And Rec Room With Wet Bar. You Will Love Living The Country Life In This Home Whether It’s Sitting On A Snowy Day Around The Firepit With Friends And Family Watching The Kids Sled, Or Playing Ball In The Back Yard On A Hot Summer’s Day! Call Today For A Private Tour! HOA: $35/year Voluntary // Mill Levy Only 90 Mills! Epicurean Style Kitchen Offers Enormous Island, Work Area With Utility Sink, Custom Cherry Cabinetry, Custom Grade Appliances Including Gas Cooktop, Walk-In Pantry, Two Ovens & Kitchen Refrigerator Included. A Private Deck From The Master Bedroom Sitting Area. Staying Cozy Warm In The Winter Anywhere In The House With 4 Indoor Fireplaces…Breakfast Nook Off Kitchen, Family Room, Master Bedroom And Basement Family Room. Downstairs Bedroom Suite With Fitness Or Could Be Converted To Mother-In-Law Suite. Spacious Floor Plan Perfect For Entertaining With Two Sitting/Dining Areas Around Kitchen And Huge Island With Eating Bar. The Property Was Professionally Fire Mitigated By The State Of Colorado In 2012. The Well Water Is Taken From The Upper Dawson Aquifer Which Has The Best Tasting Water In The Area. Welcome To This Lovely Home In The Villages Of Parker Located In Beautiful Parker, CO. This Home Is Situated On A Cul-De-Sac With A Beautifully Manicured Back Yard And Well Cared For Interior With Lots Of Upgrades Including Hardwood Floors, Professional Window Treatments and More! The Home Offers A Main Floor Bedroom With En-Suite Full Bath Plus A Main Floor Office. The Kitchen With Gorgeous Maple Cabinetry Opens To The Family Room (Wire Fireplace And Built-Ins Perfect For Decorating And Storage) And Dining Area. Upstairs Are 3 Bedrooms Plus The 5 Piece Master Bath And Another Full Bath. The Basement Has Raised Ceilings And Additional Crawl Space For Storage. The Back Yard Has A Concrete Patio For Easy Maintenance And Enjoying The Outdoors All Year Long! Welcome Home! You Will Fall In Love The Moment You Enter And See The Spectacular Ktichen And Views Off The Rear Deck! This Home Boasts A Comfortable And Open Floor Plan On 4 Gorgeous Rolling Acres Fully Fenced And With An Electric Privacy Gate. The Gorgeous Kitchen Offers Maple Cabinetry, Slab Granite Countertops, Stainless Appliances And Beautiful Hardwood Flooring. The Oversized Master Suite Has A Private 3 Piece Bath And A Second Master Suite Is In The Basement With A Full En-Suite Bath. The Upstairs Family Room Has A Cozy Wood Burning Fireplace. The Finished Walk-Out Basement Offers A Large Rec Room, Old-West Style Wet Bar And 2 Additional Bedrooms. The Workshop Is A Serious Man Cave With It’s Own Furnace & Forced Air Heat, Water, A Full Paint Booth And Much Much More. This Home Has Everything! Call Today For A Private Showing. 1,750 SF Workshop With Concrete Floor, It’s Own Furnace/Forced Air Heat, Water/Utility Sink, 220V Electric, Compressor Air Lines, Office Area With Shelves/Cabinets. Workshop Stove, Compressor, Welding Equipment/Fixtures. Kitchen Refrigerator. Basement Master Closet Jewelry Box. Washer, Dryer. Garage 2 Freezers, Refrigerator. All TVs & Speakers. 2 BBQ Grills. Decorative Wagon In Front Yard. EGL Storage Container, 1,000 Gallon Propane Tank, Wet Bar Mini-Fridge. White Tent Structure. All Tools, Tool Holders Brackets, etc. in Workshop & Garage. Workshop shelving & shelving/cabinets in office area of workshop, built-in air compressor hoses, zip line, kids playhouse, 2 sheds. Welcome to this updated home in Green Valley Ranch now for sale! This Oakwood home boasts low maintenance vinyl siding and concrete roof along with BRAND NEW CARPETING AND SLAB GRANITE COUNTERTOPS! This home is perfect located just blocks from light rail making access to the entire Denver metro area quick and easy! The kitchen has beautiful oak cabinets and new slab granite countertops and is open to the family room. Enjoy the laminate wood flooring in the formal living and dining areas and the brand new carpeting throughout the rest of the entire home! Call today for a private showing! Type: Detached Single Family – Oakwood With Concrete Tile Roof! Welcome To This Perfectly Stunning Ranch Style Home For Sale In Beautiful Spring Valley Ranch Located On One Of The Larger Estate Sized Lots. As You Approach This Home, You Will Notice The Beautifully Manicured Landscaping Which Includes Many Walks, Path, Shrubs, Mature Trees And Newly Seeded Lawn Area In Back Yard. As You Walk Inside, You Will Notice The Gorgeous Hickory Hardwood Flooring Throughout The Main Floor. The Kitchen Boasts Beautiful Custom Tile Countertops And Backsplash, Dark Cherry Cabinetry And Beautiful Views Of The Private Lot. The Master Suite Offers A Master Retreat With 3 Sided Fireplace, Enormous Walk-In Closet And 5 Piece Bath. Two Additional Bedrooms Plus A Full Bath On The Main Floor Make This A Perfect Floor Plan. Don’t Forget The Main Floor Dining Room And Study Or Formal Living Room (Your Choice!). Pride Of Ownership Abounds Everywhere! Call Today For A Private Showing! Stainless Steel Appliances, Kitchen Refrigerator Included! Washer/Dryer, Pool table and overhead light, Carpet pieces in basement, Garage refrigerator, Garage work bench, Garage wall tool organizer and shelf with light over workbench. Birdbath and yard ornamentals. Welcome To This Phenomenal Home For Sale Located In Beautiful Elizabeth, CO In The Wild Pointe Neighborhood! This Home Offers 5 Acres Horse Property Right In The Heart Of Elizabeth With Shopping, Grocery And All The Conveniences Of The City Just Minutes From Your Front Door. As You Enter, You Will Be Greeted By A Stunning 2 Story Rock Wall Surrounding The Spiral Staircase Which Leads To A Spacious Loft Area And Four Bedrooms Upstairs Including A Spacious Master Suite With Built-Ins And A Lovely 5 Piece Bath With Huge Walk-In Closet. Oversized Kids Bedrooms That Are Playfully Decorated And Include Built-Ins And Custom Features! The Gourmet Kitchen Has A Huge Island, Stainless Steel Appliances Including A Double Oven With A Breakfast Nook That Opens To The Deck With Beautiful Views Of The Private And Peaceful Setting. Through The Butler’s Pantry Is A Formal Dining Area And A Sitting Room Perfect For Relaxing Or Entertaining. The Full Unfinished Walkout Basement Offers Plenty Of Room To Grow. Welcome Home And Enjoy All The Conveniences Of The City With A Perfectly Peaceful Country Setting! Click Here To See A FULL VIRTUAL TOUR! Details: Bed: 5 / Bath: 3 / Sq Ft: 2,945 Square Feet Main Floor / Lot: 5.01 Acres / Garage: 4 Car 1,056 SF Oversized Attached Garage / Basement: 1,455 SF WALKOUT! / Total Sq Ft: 4,400 SF / BONUS: MOUNTAIN VIEWS! Playfully Decorated And Ready For Fun! Massive Main Floor Laundry / Mudd Room With Sink & Cabinets – Laundry Chute From Upstairs! Unfinished Walkout Basement Perfect For Room To Grow! Elizabeth C-1 School District earned 76.5% of the possible points in 2011 and a rating of ACCREDITED, up from 71.6% in 2010. Click here to view the report. The district is working towards receiving the highest rating “accredited with distinction”, which is given to districts earning 80% or more of the possible points. For comparison purposes, neighboring districts Cherry Creek and Douglas County received 71.3% and 72.7% of points, respectively. Legacy Academy K-8 Charter School also nearby. EVERLASTING SUMMER WITH YOUR OWN PRIVATE *HEATED* OUTDOOR POOL! This Beautiful Home For Sale Located In Spring Valley Ranch In Elizabeth, Co Has It’s Own In-Ground Heated Pool That Comes Complete With A Cabana With A Sink, Gorgeous Built-In Fireplace, Full Size Refrigerator And It’s Own Bathroom All Covered By A Beautiful Cedar Pergola! This Phenomenal One-Acre Setting Backs To The Golf Course And Offers One Of The Best Lots In All Of Spring Valley Ranch! As You Enter, You Will Be Greeted By The Vaulted Ceilings, Masterful Two-Toned Hardwood Flooring, Formal Dining, Gourmet Kitchen, Huge Nook And Open Family Room All To Enjoy The Views Of The Beautiful Pool And Landscape! This Home Boasts A Main Floor Guest Suite With ¾ Bath (Or Could Be A Main Floor Office). As You Go Upstairs, You Will Notice The Brand New Carpeting, Beautiful Wrought-Iron Railing With Bridge Overlook! The Upstairs Offers A Spacious Master Suite With Full 5 Piece Bath, 3 Additional Bedrooms And Additional Full Bath. The House Has A Beautiful Finished Basement With A 6Th Bedroom And A 5Th Bath. Call Today! This Rare Find Will Not Last Long! Pool Cabana Has Beautiful Rock Work With Built-In Fireplace, Wet Bar (Custom Concrete Countertops), Full Size Refrigerator And It’s Own Bath! Pool is 3′ feet deep on north end gradually increasing to 4′ at the center, then drops to 8′ at the south end. Heated Pool Has Vinyl Lining, Electric Cover & Extended Stamped Concrete Flatwork Making This The Perfect Summer Oasis! Breakfast Nook With Views Of Pool! Finished Basement With Additional Bedroom, ¾ Bath, Workout Area & Rec Room And Wet Bar Complete With Custom Concrete Countertops And A Copper Sink! Welcome to this BRAND NEW Richmond Hemingway Home For Sale In Copperleaf/Hawthorne With A Sunroom & Gorgeous Upgrades Throughout! This home is absolutely stunning from the moment you walk in with it’s gorgeous Coffee Bean hardwood flooring, beautiful Quartz slab countertops, Java Concord Maple Cabinets & Stainless Steel Appliances. The sunroom is the perfect addition to this home making it comfortable, warm and spacious! Enjoy the private back yard!! Best of all, this home has only been lived in for less than 3 months, seller is being forced to move so take advantage of this rare opportunity to own a brand new, move-in ready Richmond home in Copperleaf! SUNROOM! Only house in Hawthorne with this option! Master Suite with Deluxe Master Bath and New Cherry Shelving Included In Master Closet! Welcome to this fabulous townhome for sale located just blocks from Southlands Mall in Aurora, CO in the Redbuck At Sorrel Ranch Complex! This home offers a beautiful kitchen with maple cabinetry, granite countertops and a private front and rear patio area. The upstairs offers two bedrooms plus a loft/play area and a huge unfinished basement with plenty of room to grow! A one car attached garage is also included with direct entrance into home. Welcome To This Spectacular DR Horton Home For Sale In Beautiful Maher Ranch/Sapphire Pointe Castle Rock, CO! You Will Be Greeted With A Spiral Staircase And 2 Story Vaulted Ceilings Which Take You To The Formal Dining & Living Room That Opens To The Gourmet Kitchen. The Kitchen Opens To The Breakfast Nook & Family Room With Door To The Beautiful Back Yard (With Brand New Sod!). This Home Also Offers A Main Floor Office With French Doors. Atop The Spiral Staircase, You Will Find A Fabulous Master Suite With Sitting Room & 3 Sided Fireplace Also Boasting A Spectacular Bath With Dual Vanities, Soaking Tub & Huge Closet! The Upstairs Also Offers Two Secondary Bedrooms, A Full Bath And Huge Loft Area With Overlook To Entrance. There Is An Unfinished Full Basement With Plenty Of Room To Grow! Call Today For A Private Showing Of This Home And Call It Your Own! HOA: $63 Month Includes Huge Community Pool & Clubhouse! 0.20 Acre Lot On Cul-De-Sac With Private Back Yard & Brand New SOD! Full Basement With Epoxy Floor – Very Clean & Ready To Finish Or Move In Storage! New Interior Paint Just Done Throughout Entire Home! Welcome To This Stunning DR Horton Home That Backs To Greenbelt & Bike Path Now For Sale In Bradbury Ranch/Bradbury Hills Parker, CO. Enter The Home And You Will Immediately Notice The Gorgeous Brazilian Cherry Hardwood Flooring That Leads To The Formal Living Room (Also Could Be Main Floor Study) And Formal Dining Areas. The Formal Dining Room Is Elevated And Has A Bay Window Which Sets This Room Apart As A True Formal Area. The Kitchen Is Just Stunning With Brazilian Cherry Hardwood Flooring, Stainless Steel Appliances Including Double Oven (Refrigerator Is Included! ), Beautiful Dark Slab Granite Countertops, Huge Island, Gorgeous Cherry Cabinetry! The Kitchen Also Offers A Full Size Pantry, Breakfast Nook & Opens To The Family Room. The Family Room Has A Fireplace! Upstairs You Will Find The Spacious Master Suite With Full Size 5 Piece Bath, Two Separate Walk-In Closets & French Doors! Two Additional Bedrooms With Full Bath That Has Tiled Floor! The Full Basement Has Raised Ceilings And Is Perfect For A Future Theater Or Recreation Room! This Home Backs To A Beautiful Greenbelt & Bike Path & Has A Full 6 Foot Privacy Fence! HOA: $75 Per Month Includes Trash Removal & Pool! Gorgeous Kitchen With Cherry Cabinetry, Slab Granite, Double Oven, Stainless Appliances, Tile Backsplash, Full Size Pantry & More! Blinds Throughout & Blackout Shades In The Bedrooms – All Included! Home Theater & Speakers In Family Room Included! Spacious Master Suite With TWO Walk-In Closets, 5 Piece Bath With Beautiful Tile & Soaking Tub! Home Theater PreWire & Speakers Included! Blinds Throughout With Black-Out Shades In The Bedrooms! FHA Assumable Loan Available at 3.75% – Ask Agent For More Details! 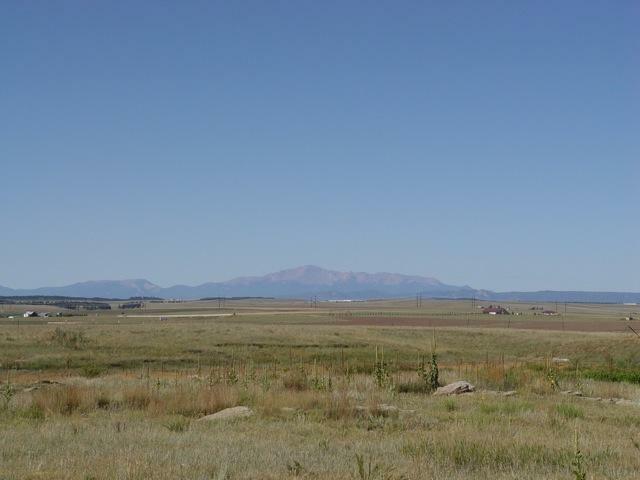 This 10 Acre Parcel Is The Perfect Homesite To Build Your Dream Home Offering Sweeping Views Of The Mountains Including Pikes Peak! Call Today To Visit This Property! Extremely Low Taxes at only 55 Mills! This Fabulous Elizabeth Colorado Golf Course Home For Sale Offers Amazing Features From Beautiful Hickory Hardwood Flooring To Amazing Views Located In Beautiful Spring Valley Ranch! This Home Offers The Best Of Spring Valley On An Enormous 1.51 Acre Lot And Will Captivate You & Your Guests The Moment You Enter! Enjoy The Kitchen With Stunning Slab Granite Countertops, Cape Cod Style Maple Cabinetry, Brushed Nickel Hardware, Hickory Hardwood Flooring, Double Oven, Microwave, Dishwasher & Refrigerator. The Kitchen Opens To The Great Room & Eating Nook Overlooking The Walkout Deck, Views and Outdoor Fireplace. The Great Room Has Built-Ins Along With A Fireplace And Entertainment Nook Perfect For Entertaining Friends & Family Or Just Relaxing After A Busy Day! This Home Has 5 Bedrooms Including A Main Floor Guest Suite With Attached Full Bath And Shower. An Upstairs Loft Is Perfect For A Media Room! The 5th Bedroom Is Configured As An Upstairs Fitness Room With Built-In Mirrors (Included!). The Full Unfinished Walkout Basement Offers Extra Room For Storage Or Expansion With Lots Of Light! And, Don’t Forget The Amazing 4 Car Garage Configured With 2 Separate 2 Car Stalls Connected In The Middle! Hurry, This Home Has It All And Won’t Last Long! Click Here To Learn More About The Popular Spring Valley Ranch Golf Course Community! Perfect Lot For Barn or Workshop – HOA allows all OUTBUILDINGS! Click Here For A FULL VIRTUAL TOUR Of This Stunning Home!